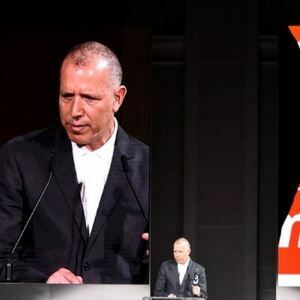 How much is James Jebbia Worth? James Jebbia net worth: James Jebbia is an American entrepreneur who has a net worth of $400 million dollars. James Jebbia launched his business career in the early 90s, as one half of the ownership of the Stussy fashion label. The clothing brand was geared towards street and skater wear, and became quite popular. However, Sean Stussy, chose to retire in 1994, and Mr. Jebbia branched out on his own, to create the Supreme label. Supreme has become synonymous with excellent skater wear, as well as high quality boards and skater-related accessories. The company regularly commissions cutting-edge artists, like Jeff Koons and Damien Hirst, to design their skateboards, and only manufacturers their products in limited amounts. They have made an effort to keep prices reasonable, by keeping production costs down. Supreme has two locations in the US, one in New York City and one in Los Angeles, along with five locations in Japan. They also sell certain items to various shops in Europe, and now have a location of their own in the UK. Carlyle Group Investment: In 2017 private equity firm Carlyle Group spent $500 million to acquire a 50% stake in Supreme, valuing the brand at $1 billion.